Rarely available, larger studio unit in Building H. The corner unit allows for tons of natural light and two balcony spaces. Have your morning coffee or afternoon cocktail overlooking the two large community pools from your western balcony. Recent updates make this the perfect space for a weekend or long stay. The unit features a king-sized bed and a large sleeper-sectional that will allow four people to sleep in comfort. Whether you are looking for an investment, or your own private getaway, make sure to see this unit before it is too late. Brand new HVAC system just installed 3/1/2019. SchoolsClick map icons below to view information for schools near 10343 E Co Highway 30-A #UNIT B294 Rosemary Beach, FL 32461. 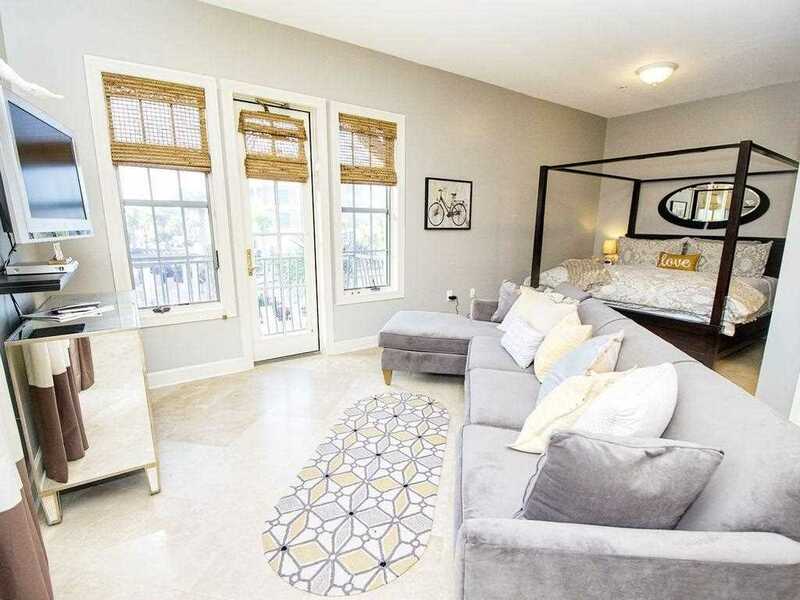 Home for sale at 10343 E Co Highway 30-A #unit B294 Rosemary Beach, FL 32461. Description: The home at 10343 E Co Highway 30-A #unit B294 Rosemary Beach, FL 32461 with the MLS Number 815147 is currently listed at $238,000 and has been on the Rosemary Beach market for 80 days. You are viewing the MLS property details of the home for sale at 10343 E Co Highway 30-A #unit B294 Rosemary Beach, FL 32461, which includes 0 bedrooms, 1 bathrooms and has approximately 454 sq.ft. of living area.